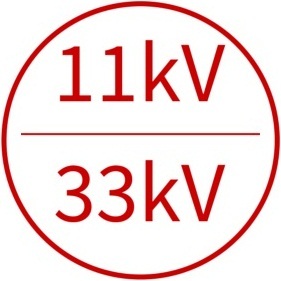 Prysmian BICC BICON BTHW and BTH copper crimp lugs and splices are specified for terminating and jointing high voltage cables 11kV to 33kV - the abscence of an inspection hole and presence of internal waterblocking resin prevents moisture ingress. T&D UK distribute Prysmian crimp connectors and associated crimping tools. Compression (crimp) connectors are an established method of connecting and terminating medium-high voltage cable conductors (11kV 33kV). To ensure a reliable connection or termination, the following should be observed. Pictured : Prysmian Connectors. BICON BICC copper cable lugs, reducer splices and through splices are used to crimp, joint and terminate 11kV and 33kV stranded copper power cables.